This is a concentrated oil to help target blemish-prone skin. 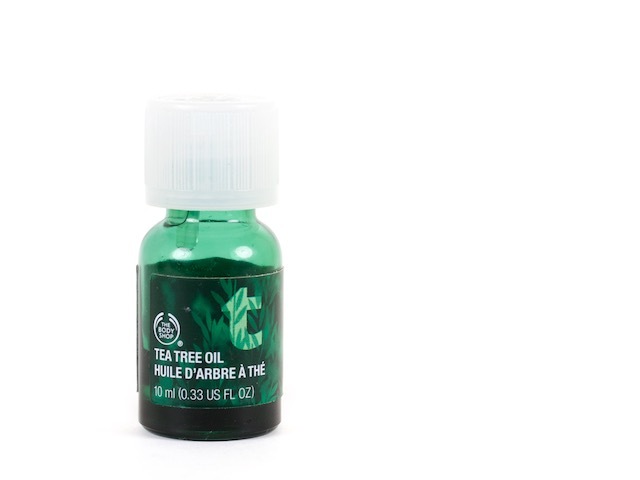 Many people think this little bottle contains 100% tea tree oil, but it only contains 15%. Even so, it’s very effective—especially when you consider that a 5% concentration is enough to see results. I love this oil because I see immediate results. It helps minimize and treat breakouts. It absorbs quickly into the skin and it doesn’t feel dehydrating. The packaging isn’t the best design . It’s hard to regulate the amount of product you get & it’s also difficult to get drops out once you’re used up 75% of the bottle. Nonetheless, it’s definitely worth that little hassle. 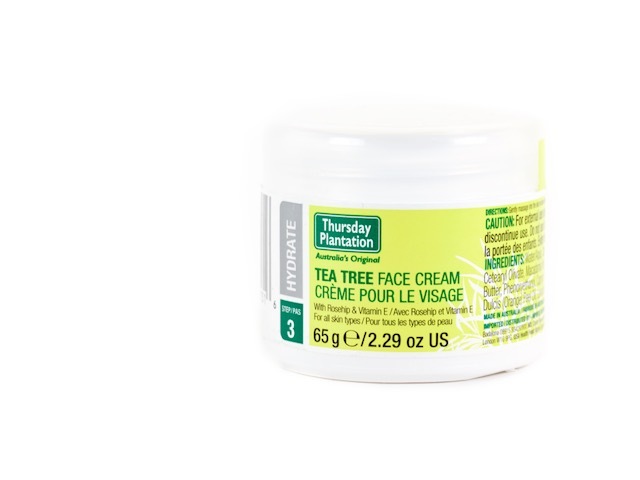 This light weight face cream from Thursday Plantation* is a balanced combination of tea tree oil, macadamia oil, rose hip oil, vitamin E, and shea butter to help maintain clear skin and restore moisture. It absorbs quickly into the skin and it doesn’t feel greasy or oily. I apply this right after cleansing my skin and it leaves my skin looking slightly matte but not dry. I’ve had no problems with applying tinted moisturizer over this face cream, either. It sits well on the skin without sliding off. 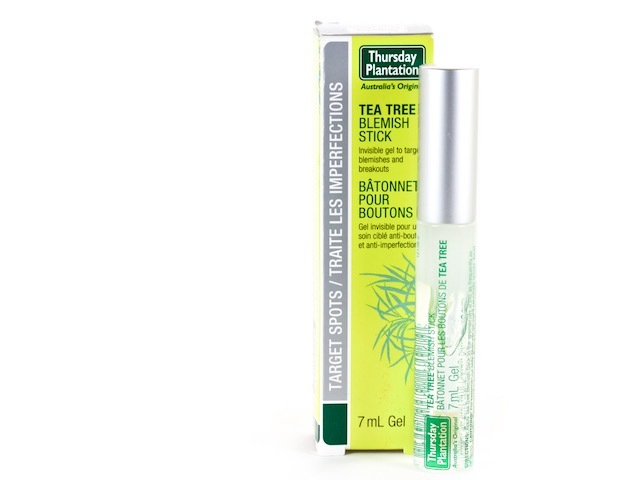 For on-the-go treatment with a convenient sponge tip applicator, I turn to the Thursday Plantation Tea Tree Blemish Stick*. It’s a blend of tea tree oil, spearmint oil, and vitamin E. The spearmint helps mask the smell of tea tree if you’re not a strong fan of that scent. It comes in clear tube so you know how much product you have left and the clear gel dries invisible so you can reapply without having a weird spot on your face. It's a great spot treatment to help target any blemishes you get—it's a great daytime remedy. Whenever I get a blemish, it is always accompanied by a dark sport. Without fail. 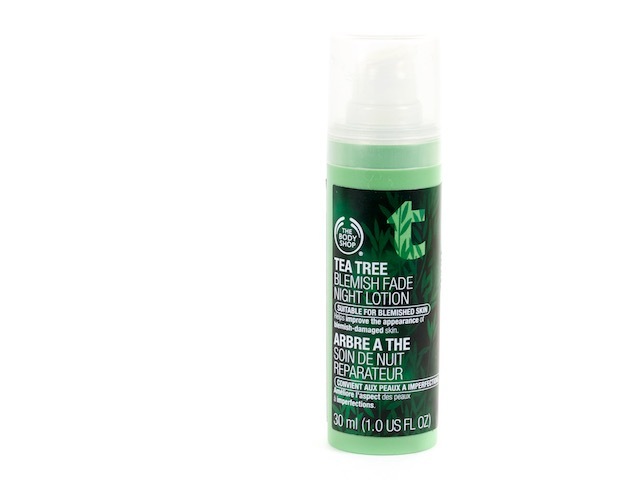 This Tea Tree Blemish Fade Night Lotion from the Body Shop works well to help lighten the darks spots and any other scarring. It doesn’t work as quickly or effectively as other hydroquinone products I’ve tried, but if you have the patience, you will see results. This not only fades dark spots, but the tea tree oil helps prevent future blemishes. Win, win. 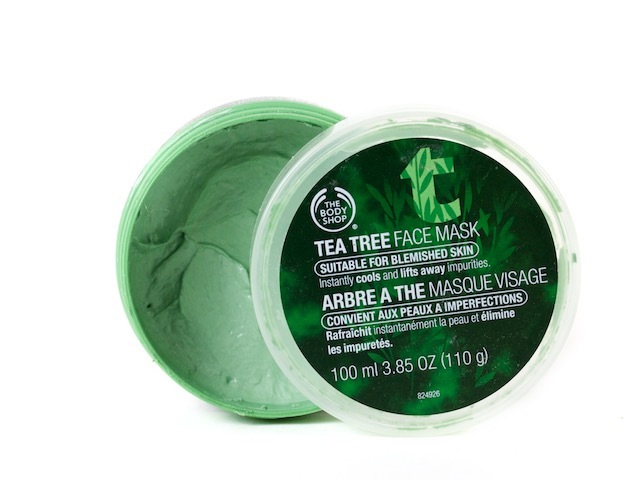 If you want an instantly cooling and refreshing face mask, the Tea Tree Face Mask from the Body Shop may be for you. It feels so good on the skin. It helps absorb excess oils and soothes the skin. It does leave a tingling sensation on the skin, which is normal as long as it doesn’t feel painful… but if you have sensitive skin, this may not be for you. It’s great for a weekly treatment to help clarify and soothe your skin, especially if you’re like me & acne-prone. Beware, this product is bright green, so don’t use it while wearing anything you’d like to wear out in public again. (*) This post contains products sent to Stylish & Literate for consideration. Read disclosure here.